So you probably have heard that white roofs are good for green building: white reflects the sun’s heat and keeps the building cool in the summer, reducing AC costs and energy use. In addition to painting the roof (and most of the exterior, except for a few colorful graphics) with white no-VOC paint, I will be using a product called Radiosity 3000 as a radiant heat barrier to keep The COMET cool in hot temperatures. As you can probably imagine, a little aluminum box like the camper basically turns into an oven in the heat. My solar system won’t allow me to use air conditioning (I also don’t have the space for an air conditioner, and don’t particularly like them in general) so I was looking for a solution to keeping the COMET cool in the summer. 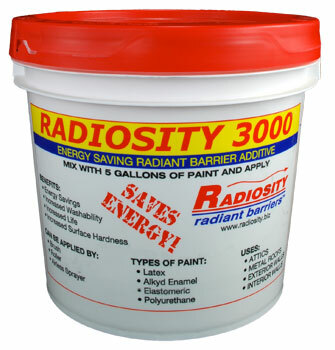 The people at Green Building Supply suggested Radiosity 3000, and I think it’s going to end up being the perfect thing. Basically, I am going to mix the Radiosity 3000 in with the exterior paint, and paint the entire COMET with it to keep it cool in the summer. On the interior, I will mix it with the interior paint to keep heat in when it is cooler outside. I’ll have a double heat barrier! Tomorrow I’m going to start demolition in The COMET: tear out the rotted wood in the walls, take out the old water tank, clean it up inside, and get a real sense of what needs to be replaced guts-wise. We’ll see what’s hiding behind those soft spots in the walls, so expect some gruesome photos tomorrow! Here’s a follow up to the last post, where I talked about how to calculate your (kilo)watt usage and shared my own table showing what electricity-using appliances I will have. Here’s why that “AC or DC” column is important. These are the actual modules that I have. 3 x 185W modules. Thanks Cotuit Solar! 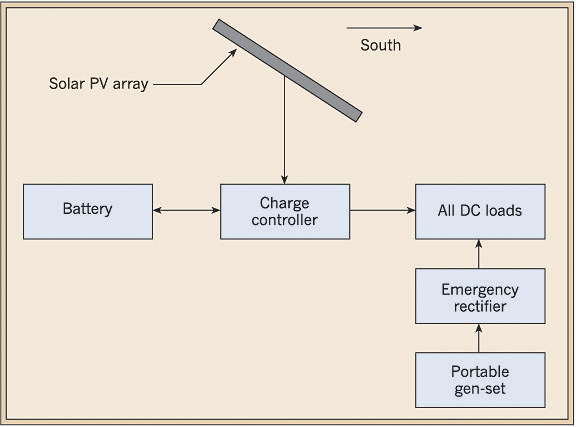 I want to design a PV system for The COMET that is DC-only, and has no AC inverter (which turns the DC power from the panels into the AC power that comes out of your wall sockets). The reason is because of the nature of inverters for PV systems: inverters are the single most expensive component of a PV system. They also are the point at which 20% of efficiency from what the panels are actually producing gets lost. That means it takes 20% of the energy you are producing with your panels to power the inverter. That’s a lot of lost energy, especially in a small system! So I am devising a unique system that requires no inverter. Here is a diagram of how the system will look. Modules, charge controller, battery bank, then DC load or outlets. In order to do this, I need to convert ALL of my electricity-using appliances to run on DC power (see previous post for details, but basically everything in The COMET runs on DC anyway, except the laptop computer, which I will buy an DC power adapter for ($20 as opposed to $2000 for an inverter). It isn’t unusual for camper and RV appliances to be wired for DC and use only DC, so that’s another reason this conversion will be feasible. I’ll also need to make sure everything is running at 12V – meaning I will need a 12 V battery system. I have seen some grid-tied systems that use this principle to power what DC appliances they have (check out this Instructable as an example). For example, charging all of your fans, lights, cell phones, ipods, and basically other electronics with car chargers, with power from the panels using no inverter (and maybe even no battery if you only want to access the free power during the day). However, my system will be very unique in that it is off-grid and completely DC. 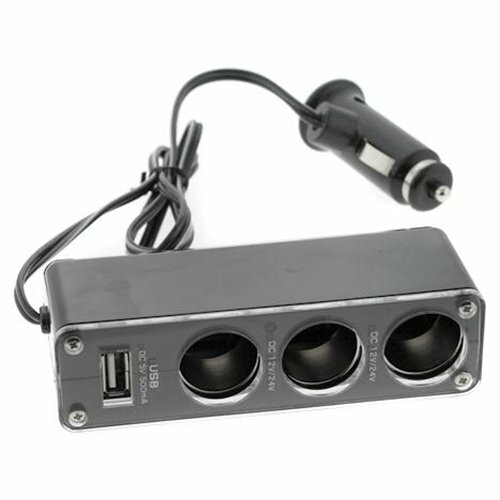 I’ll have wall outlets like everyone else – they’ll just be DC and look like the ones in your car! 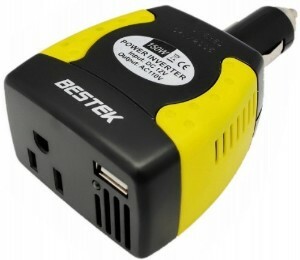 Small 150W inverter for just-in-case AC scenarios. The one thing I am worried about with this system is not having the flexibility to use anything with an AC plug. Who knows what will come up, there may be a day when I need to test something or use an AC plug to power something. Of course, I can only plan so much. For this scenario, I will have a small car inverter (probably somewhere around 300 W) that can plug into the DC wall outlets when I need it (or maybe it’s mounted in the wall somewhere, but I see it as being more of an emergency use kind of thing). I’m still working out the kinks, but this entirely DC system will save me a lot of money and be much more efficient than an inverter system. I’ll keep you updated as I experiment with this concept! Totally unrelated, but I just wanted to point out how awesome the Habitat for Humanity ReStore is. I went to the one in Worcester on Saturday, because I was driving by, and they happened to have a few click panels of cork flooring. I picked them up for a $1 and will hopefully be able to use them in the bathroom!